Hunan which means ‘south of the lake’ is the birthplace of Chairman Mao. 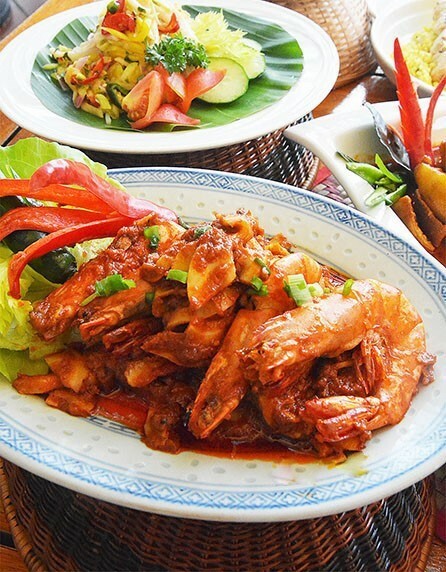 The age-old ‘land of fish and rice’ province is known for its Xiang cuisine, one of the “Eight Great Traditions” of Chinese gastronomy. Unlike Sichuan’s ma la (tongue-numbing hotness), Hunanese food slants towards xiang la - fragrant and hot flavours through the liberal use of chilli peppers, shallots and garlic. Fresh, dried and pickled chillies bestow bold, bright flavours to Hunanese dishes; often combined with the punchy tartness of vinegar and pickled vegetables, as well as the forthright brininess of fermented laba beans. For the Hunan cuisine promotion, guest chef Wang Cheng Chun (right) from the Hilton Shenzhen Shekou Nanhai has been flown in and tasked to present the cuisine's true characteristics at Chynna, Hilton KL. The 30-year old chef from Changsha will collaborate with Chynna’s Executive Chinese Chef Lam Hock Hin to present an a la carte and set menu selection of epicurean Hunanese delights from 25 May to 7 June 2015. Chef Wang's seven-course set menu (RM220 per person) will take you on an exquisite culinary journey of his native stomping ground. Sliced white radish in briny chilli oil - a popular cold appetiser in Hunan - primed our palate at the start of dinner. The crunchy radish's rounded salty-spicy tastes roused our tastebuds, leaving us eagerly anticipating the arrival of other dishes. The stewed shank in chilli sauce was a labour of love as it has been steeped in 2.5 hours in a milieu of chillies, spices and other ingredients without overwhelming the beef's inherent gaminess. Cut into fine matchstick-size strips, the beefy batonettes came with coriander and cucumber strips for taste and textural contrasts amidst explosive bursts of chilli hotness. Another labour-intensive speciality is deep-fried duck with white sesame seeds (top right). This traditional delicacy required the duck to be marinated and steamed beforehand. Once cooked, it's coated in foamy egg white and deep-fried to sumptuous crispiness dotted with white sesame seeds. Biting into the delicate slivers, you'd appreciate the deep-seated meaty-eggy-nutty flavours that burst forth. Occasionally, some Cantonese influences tend to surface in certain Hunanese dishes. Hardly surprising since part of the province borders Guangdong. This is evident from the sautéed lamb shoulder with romaine lettuce, a dead-ringer for sang choi bao or lettuce wraps. The minute dices of lamb, onion, bell peppers and pickled bird's eye chilli will send your pulse racing and cause you to break out in a sweat yet the whole package's unmistakably fresh and clear flavours bear shades of the Cantonese culinary approach. We notice a similar trait in the hot & sour soup which is distinctly different from the fiery Sichuanese version. Brimming with Hunanese cuisine's spicy-fragrant characteristics, the thick, smooth broth boasts yummy morsels of fried minced chicken, strips of soft beancurd, bamboo shoot, wood ear fungus, black mushroom and pickled vegetable in it. Using Hunan's famed fermented chopped chilli, the chef blew us away with his conversation-stopping steamed turbot with chilli sauce. Chef Wang deserves applause for amplifying the deep-sea fish's natural sweetness and enhancing the springy-soft flesh with the chilli's mellow fruity sweetness. The best part lies in the orangey pool of fish jus so make sure you lap up every sublime drop. We did. On their own, the fermented laba beans taste surprisingly agreeable; the muted savouriness pleasingly coy yet compelling on the palate. Unlike our local taucheo which is soft and mushy, these beans retain their shape well with a firmer mouthfeel. Added into the dish of fried rice with laba beans & chicken, it brought out an additional dimension of 'freshness' from the hodge-podge of ingredients: chicken, carrot, beans and egg white. 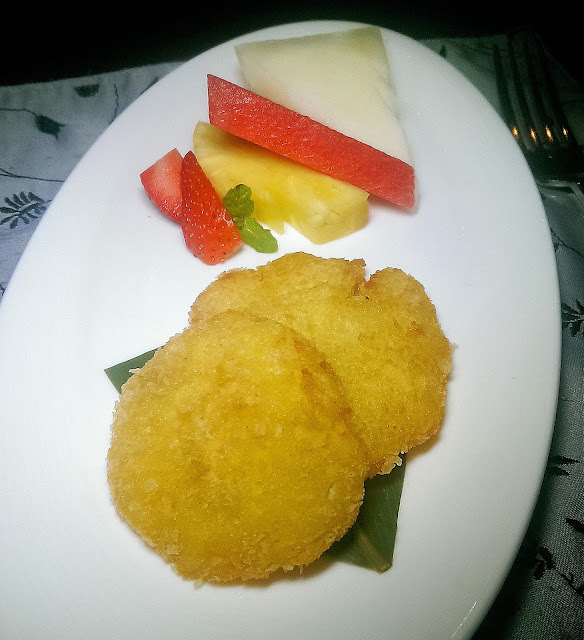 The set dinner wraps up with a folksy dessert of deep-fried potato cakes with lotus seeds - a homely offering that every Hunanese matriarch worth her salt often prepares as a convenient snack. Lightly crispy on the outside, the subtly sweet, flat patties were chewy soft inside with a touch of discernibly lotus creaminess. The Hunan set and a la carte menus will be served for lunch and dinner at Chynna throughout the promotional period. For reservations, call Hilton Kuala Lumpur, tel: 03 2264 2596. Ramadhan is the ninth month on the Islamic calendar - time when Muslims seek to reunite with family and friends. Whether you're residing in Melaka or just visiting, invite your loved ones to share a good 'buka puasa' dinner in the comfort of Hotel Equatorial Melaka’s (HEM) Phoenix Ballroom. HEM Executive Chef Mohamad Shariff and his team will roll out the red carpet for you food-wise, cooking up an extensive range of local and international dishes with some Middle Eastern cuisine starting from 18 June to 17 July 2015. 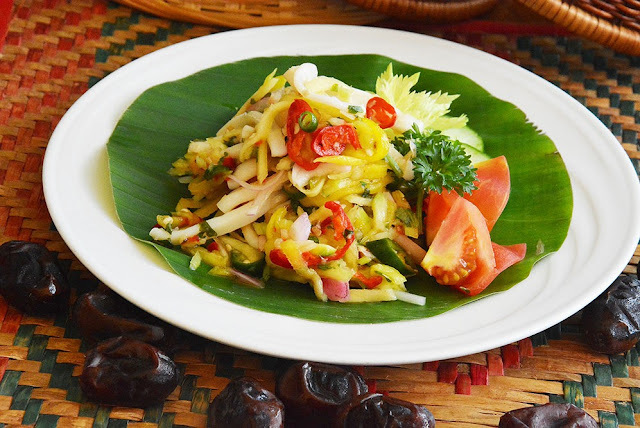 Recommended starter to sample will be Squid and Mango Salad, a classic combination of crispy yellow mango and squid julienne; perked up with fish sauce, lemon juice and traditional Nyonya sambal belacan. One of the main courses that should strike a chord will be Prawns with Bamboo Shoot - fried marinated prawns and bamboo shoot coated in traditional Malay sambal. 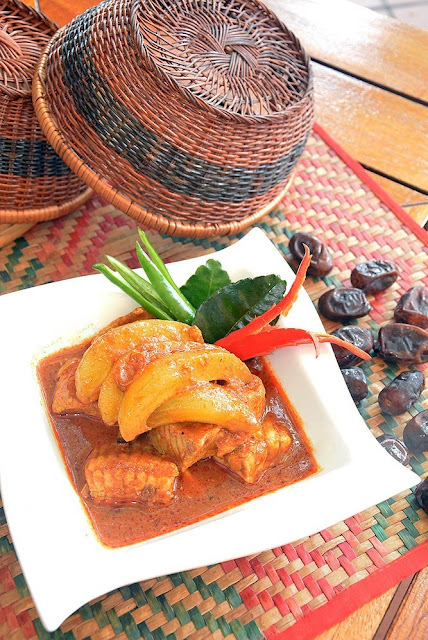 Of course, no stopover in Melaka is complete without relishing some asam pedas - hot & sour fish curry. You'd want repeat helpings of Ikan Pari Assam Manga Muda (Braised Stingray with Spicy Young Mango Sauce) from the wide array of tempting dishes available. A droolworthy creation to appreciate the fleshy meat, soused in a robust gravy redolent with fresh turmeric and tamarind paste nuances. 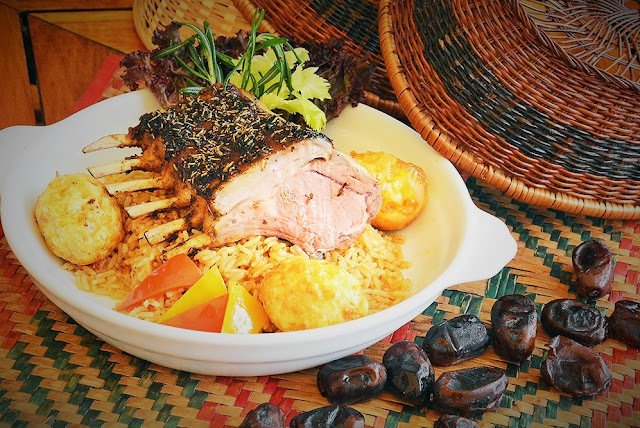 For a heady sampling of Middle Eastern flavours, keep your eyes peeled for Roasted Rack of Lamb with Kabsa Rice. Marinated with seven exotic Arabian spices, the juicy lamb then bestows its rich accent to the fluffy rice alongside tomato, hardboiled egg and capsicum. Alternatively, try Shish Tauk with Saffron Rice irresistibly redolent with the soulful overtones of Middle Eastern spices such as sumac and paprika. 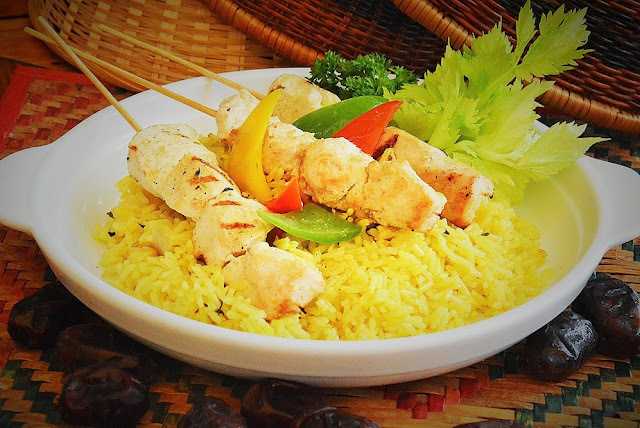 Served with skewers of grilled chicken kebabs for added appeal. A major centrepiece at many buka puasa buffets, a whole roast lamb will also be given pride of place at HEM's. You must grab some slices of the tender meat imbued with Arabian spices and paprika and pair it with delicious Middle Eastern Biryani rice for that magical 1001 Arabian nights experience. 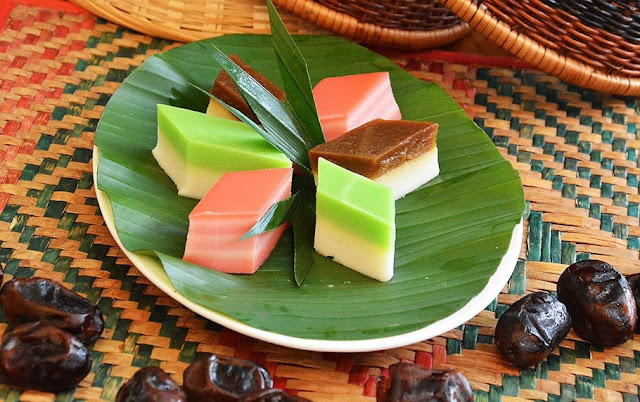 Always leave room for those perennial delights of Nyonya Layer Cake and kuihs. Rich, creamy and slightly bouncy to the bite, you'd never tire of eating the sweet treats to wrap up your scrumptious dinner. Early bird bookings will receive a 20% discount - call HEM to reserve seats and tables from 15 May to 17 June 2015. The usual price is RM88 nett per adult and RM44 nett per child. For reservations, call HOTEL EQUATORIAL MELAKA, tel: 06 282 8333 ext: 3331.